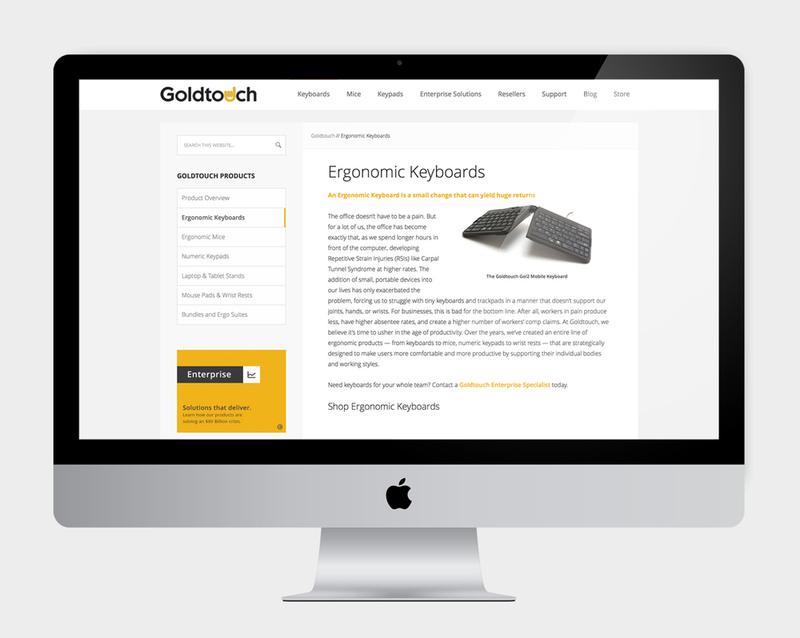 Goldtouch is one of the premier manufacturers of ergonomic office solutions — things like keyboards, mice, stands and the like. Companies that supply Goldtouch products to their employees save literally millions of dollars by reducing workers' compensation claims due to repetitive stress injuries. But if you looked at their previous website, you'd never know it. Swizzle rebuilt the entire online presence, but this time with a purpose: To tell a compelling bottom-line story that would drive enterprise sales. Their site went from a static, generic itemization of available consumer products, to a site with a strong point of view backed by support materials, case studies, sophisticated salesforce integration and a brand new online store. The new Goldtouch site illustrates the power of designing with strategic goals in mind, rather than just pushing pixels around to make pretty pictures. Threadgill's is an Austin institution. No other restaurant lives closer to the intersection of Austin history, music, food, culture, and that famous weirdness the city is so well known for. The restaurant's spirit is born from the thousands of live music performances that have graced her stages, and the incredible southern home cooking menu that brings in locals and tourists alike. Threadgills.com is a beautifully artistic site that successfully connects all the dots — marrying food and music, utility and style, function and fun. 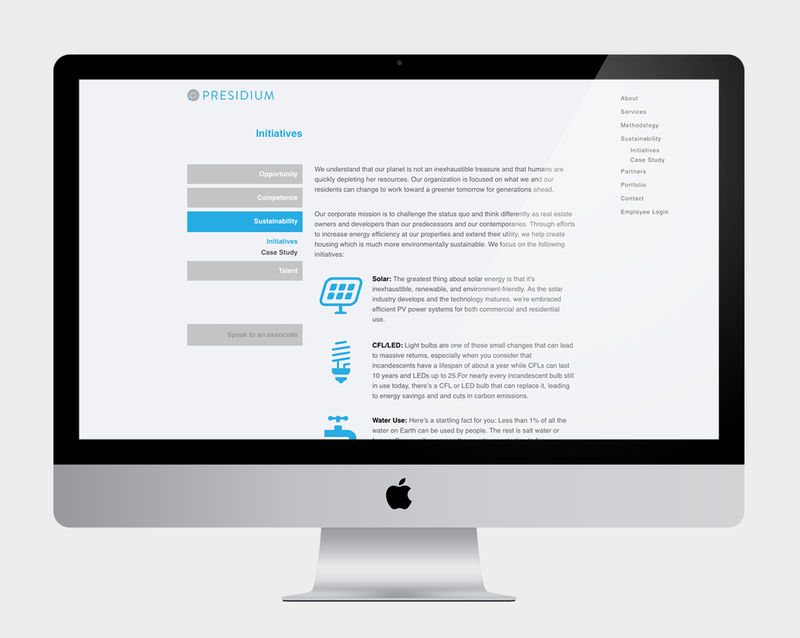 The Presidium Group is a real estate investment company that specializes in turning around high-upside multi-residential properties into modern, sustainable, energy-efficient units that yield returns for investors and residents alike. Their corporate website is another great example of design with insight and purpose. Rather than simply updating their previous basic info-driven site, we completely rethought it and solved a tricky problem in the process: By framing the company's corporate philosophies as "investments", we were able to describe the company's lofty mission in a language that raised it above the dry, complicated minutia of fiscal returns, while still keeping it firmly planted in the world of real estate finance. No small feat. Withdrawal Ease is an incredible product that has truly helped thousands of people beat their dependencies to opiate painkillers. But with so many snake oil salesmen and shady characters peddling cure-alls online, the category had become polluted with mistrust. 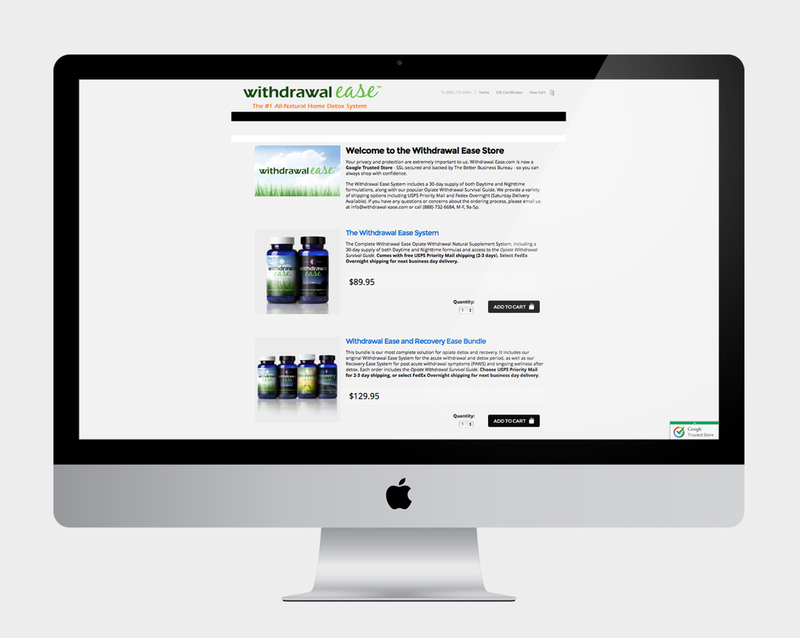 Withdrawal Ease needed a website that allayed the fears of a skeptical audience, built trust within a delicate and nervous customer-base, provided copious amounts of information, and, as an entirely online business, functioned as a highly optimized and efficient e-commerce platform to handle all of the sales, fulfillment and analytics. By keeping the voice helpful and personal and using George Catlin, the founder and owner, strategically throughout this site in videos and first-person posts, the new site is able to feel established enough to be trusted, but home-grown enough to feel like a kindred spirit — someone who has gone through this too and has good advice and a good product to help.